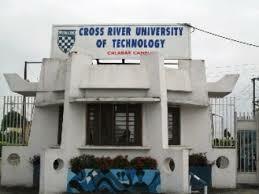 Cross River University of Technology, CRUTECH 17th Matriculation Ceremony Dates, Time, Venue Academic Gown Collection for Freshers/Newly Admitted Students for 2018/2019 Academic Session. This is to inform all newly admitted students of the Cross River University of Technology, CRUTECH that the 16th Matriculation Ceremony schedule for 2018/2019 academic session has been announced. The Matriculation of First Year Students in all programs in the University earlier slated to hold on Monday 15th April, 2019 in Calabar and Obubra Campuses, and Tuesday 16th April, 2019 for Ogoja and Okuku Campuses, has been postponed by two weeks.